Health and fitness is important every day, but what better excuse to look and feel your best, by kick starting a healthy diet and exercise regime in the lead up to your big day. Here you will find personal trainers, detox specialists and more. 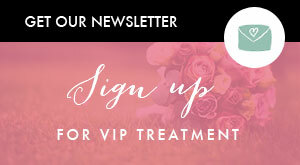 Email us today on [email protected] to avail our exclusive Bride Club ME offer. Please quote 'STMD-BRIDE' when inquiring.